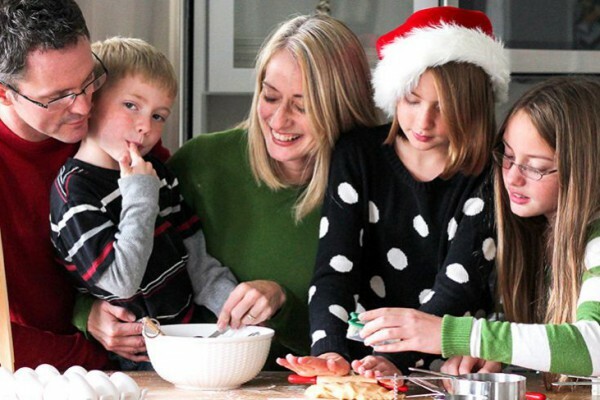 My name is Jenny Dixon from Craft That Party, and I am one of the featured stylists for the Birthday Express Ideas Blog. 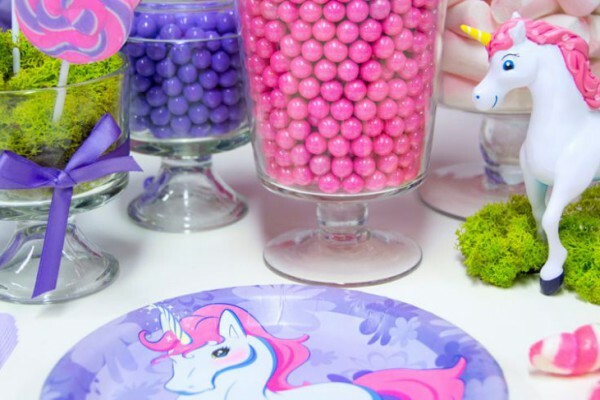 I tend to integrate lots of DIY ideas into parties and I am excited to share my tips and easy crafts with you right here each month. Click here to see a Star Wars Rebels party designed by Jenny! 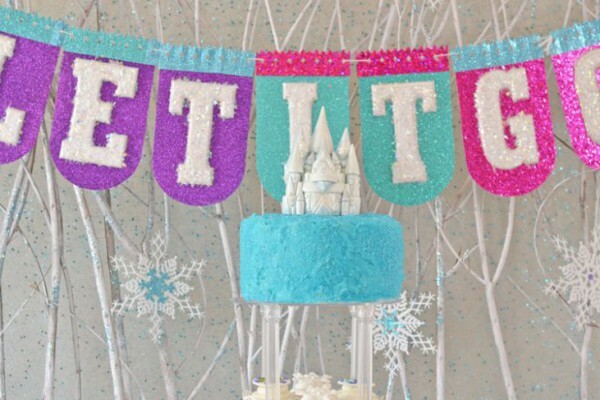 Or how about a gorgeous Frozen Fever party! 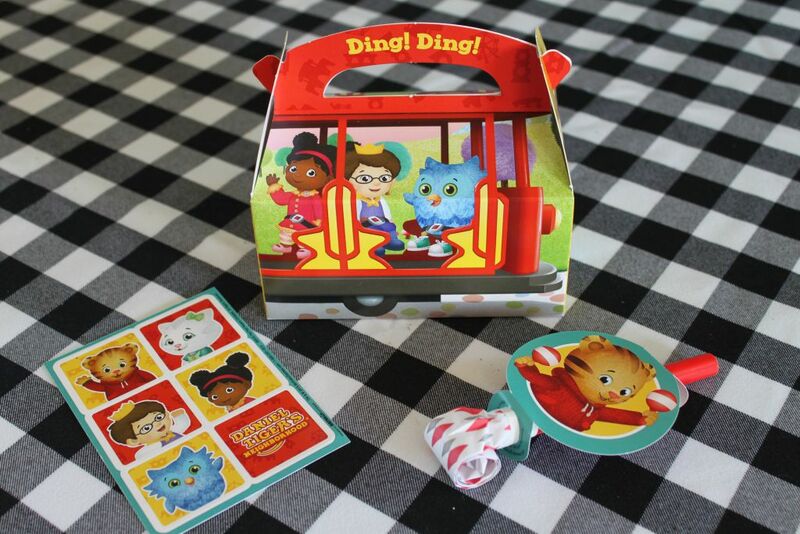 Or a Science party that’s equal parts super fun and extra educational! “Ugga Mugga” to all our Daniel Tiger fans out there! We love this brightly colored, animated program for preschoolers based on the PBS Series Mister Rogers’ Neighborhood! The show focuses on important lessons like social skills, counting, good manners, and eating healthy. Our dessert table is full of healthy alternatives to traditional sweets. 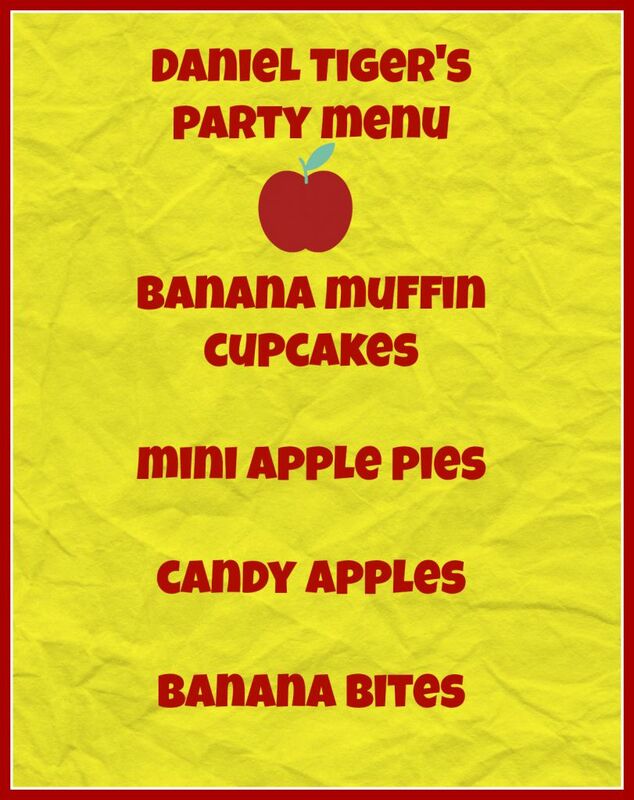 Just take a look at our party menu! 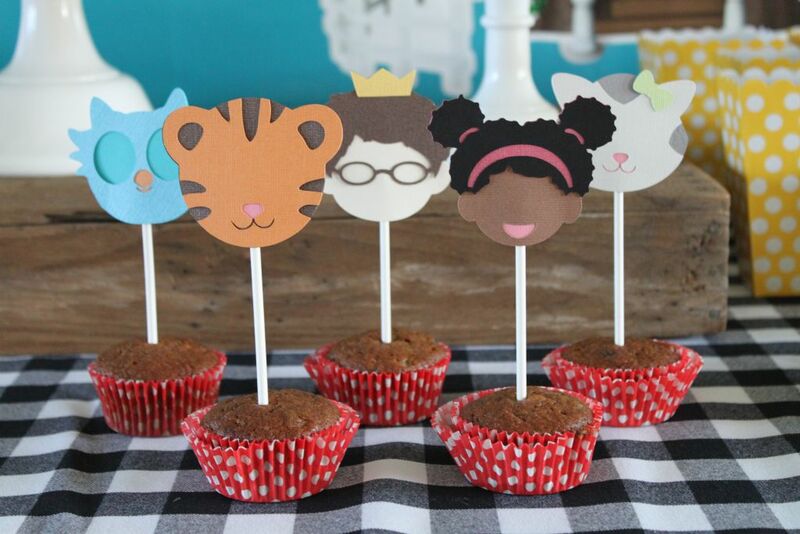 Baker Aker baked us some banana bread muffins in these bright red polka dot cupcake liners and topped with adorable character toppers from Shop Fluff. To create my backdrop, I wrapped my large foam board (bought at an art store) with blue wrapping paper. 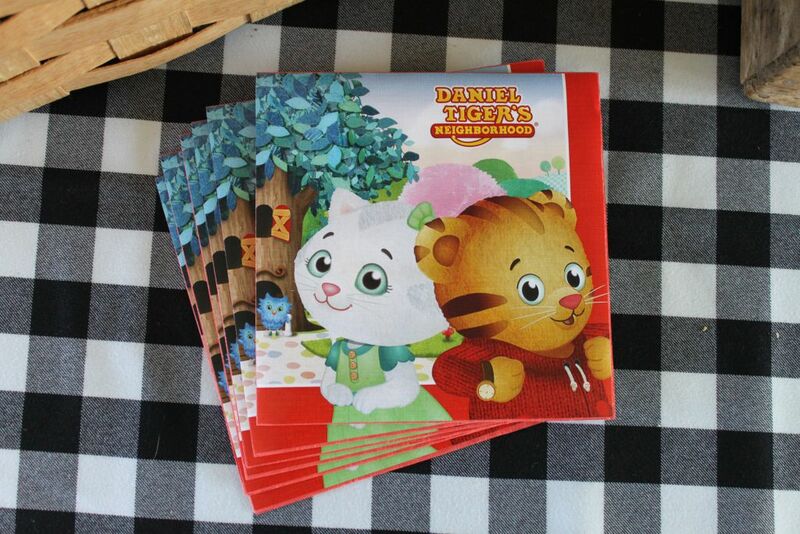 I then attached Daniel Tiger wall decals on top of my wrapping paper. 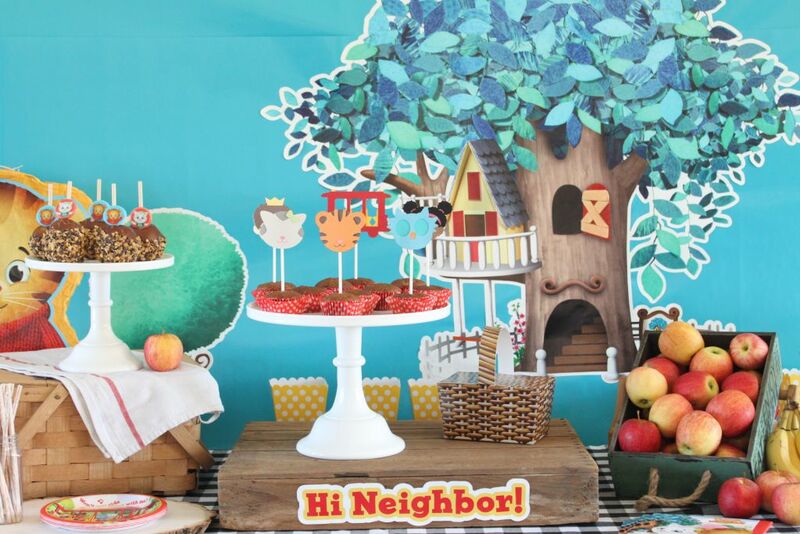 This creates a dramatic backdrop for our dessert table and takes less than 5 minutes to make! 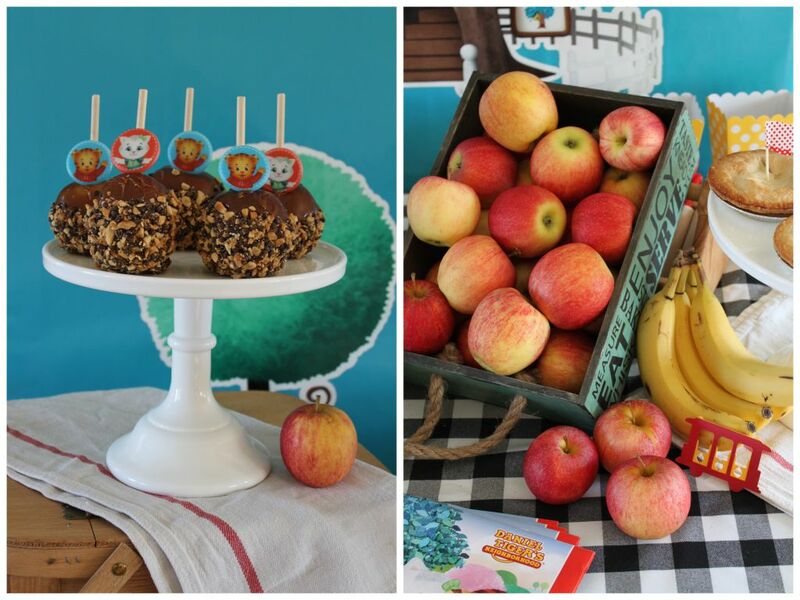 Apples, apples, everywhere! 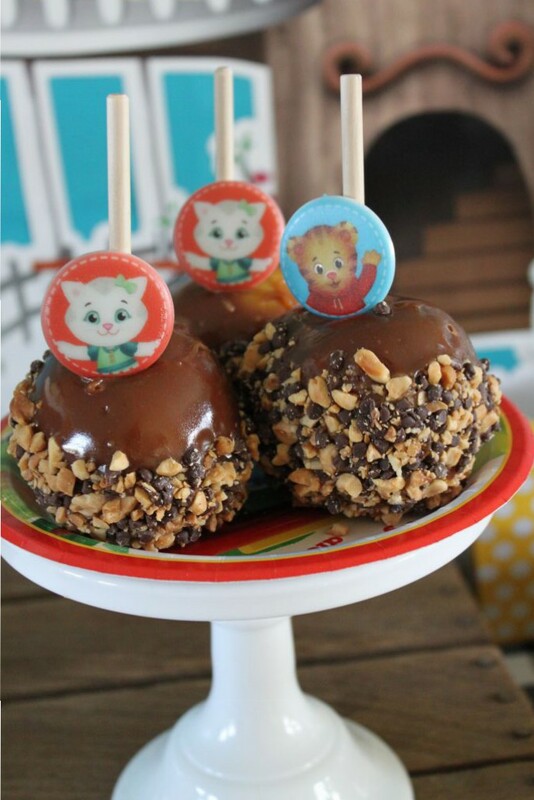 I added Daniel Tiger’s Neighborhood plastic rings to store-bought candy apples to create a custom dessert for our table. I also filled a wood crate with fresh apples. 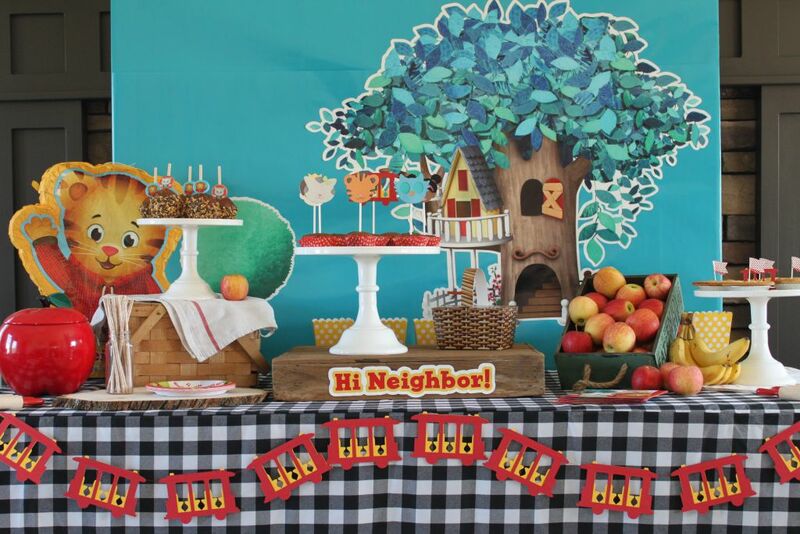 O the Owl and Katerina Kat agree that mini apples pies are perfect for fall parties! 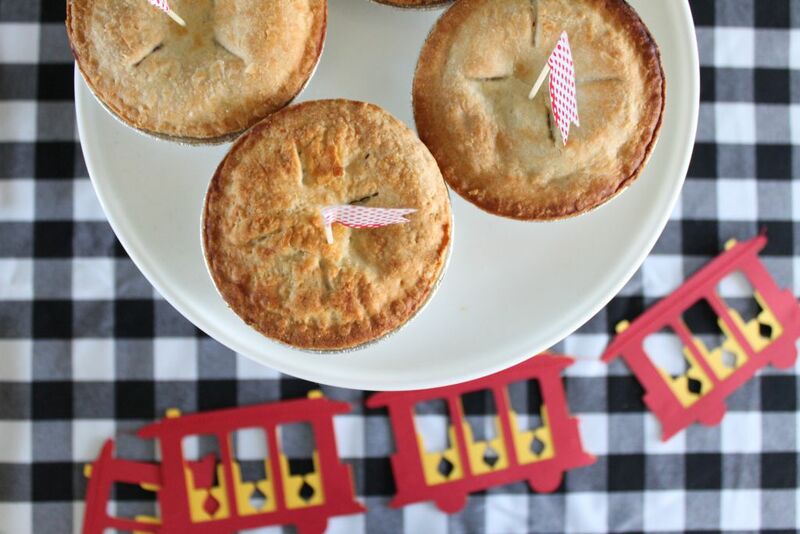 I added festive red flags picks in each mini pie to continue the use of bright colors throughout the party. 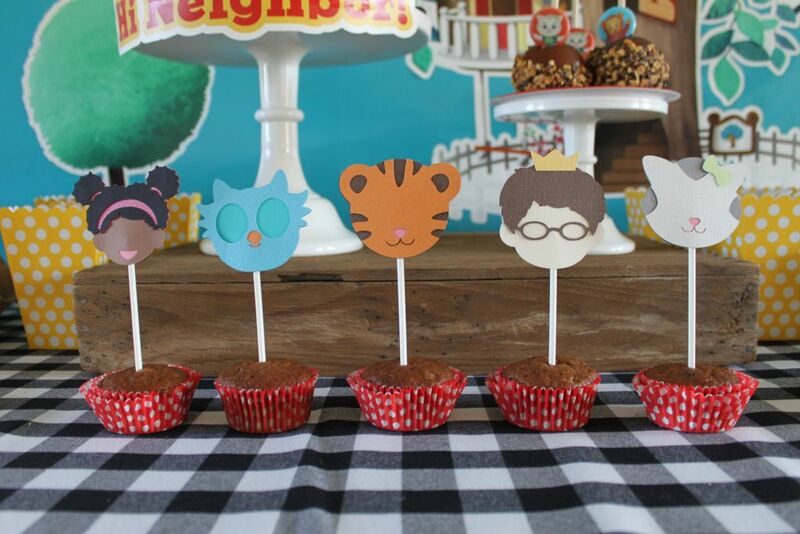 Miss Elaina, O the Owl, Daniel Tiger, Prince Wednesday, and Katerina Kitty Kat are all here to join in the fun! Every party needs a photo opportunity! 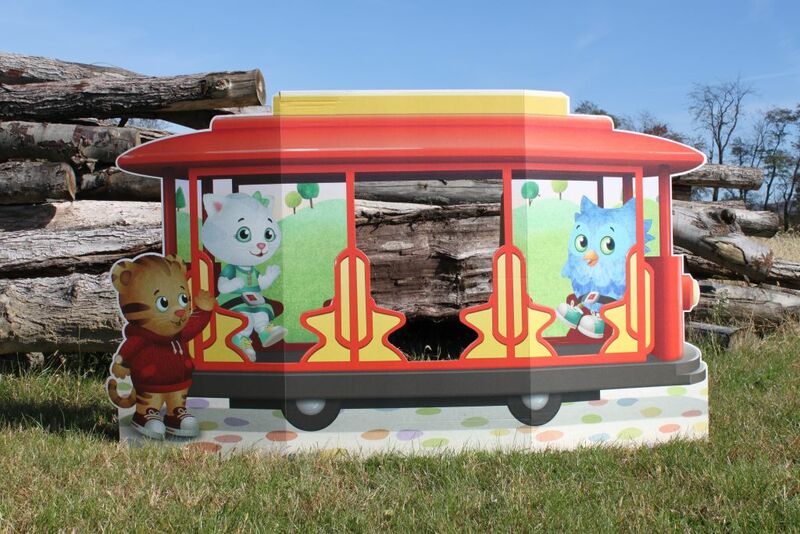 The Daniel Tiger’s Neighborhood party collection has one of the best photo booths I have ever seen, a Trolley that is 3.5 feet tall! Just stick a small stool behind the cardboard cut out and kids can have a ball waving out the Trolley window! 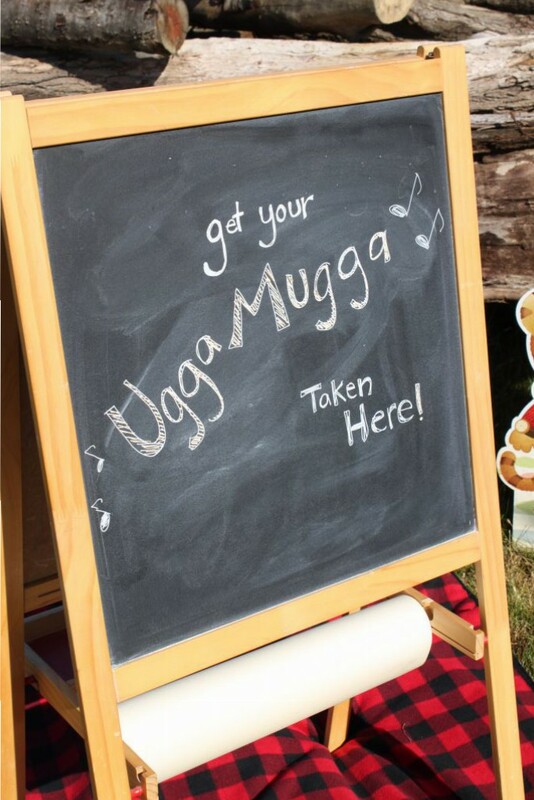 Make sure to get your Ugga Mugga taken before you leave! 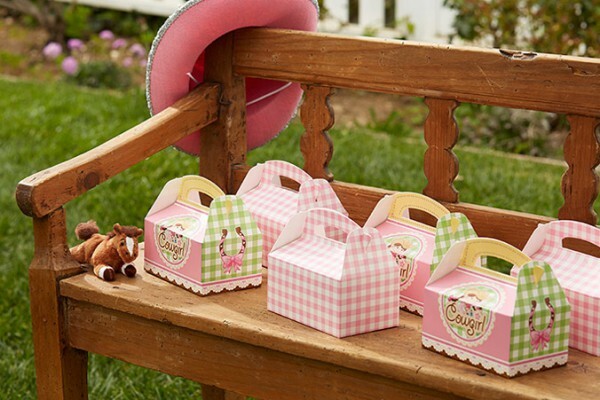 Treat your guests to these adorable trolley favor boxes filled with goodies such as crayons, mini notepads, rings, stickers, and bouncy balls! 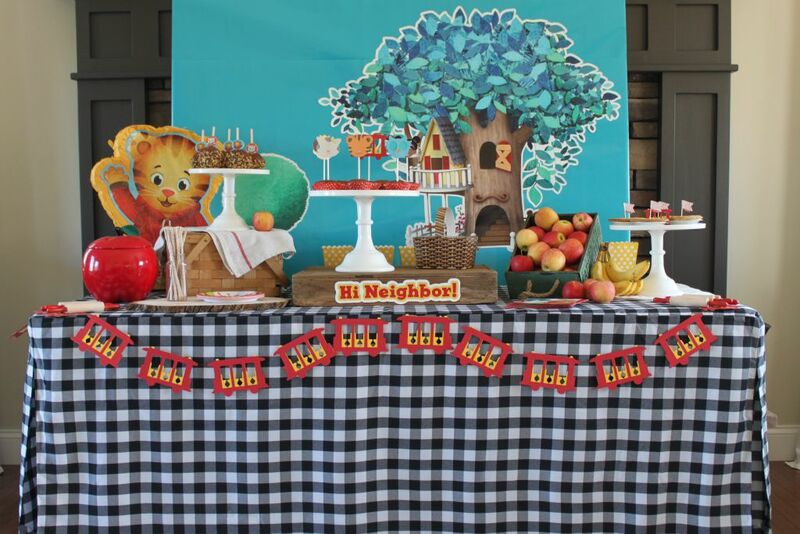 I hope you enjoyed our celebration in Daniel Tiger’s Neighborhood, it was a Grr-ific party! 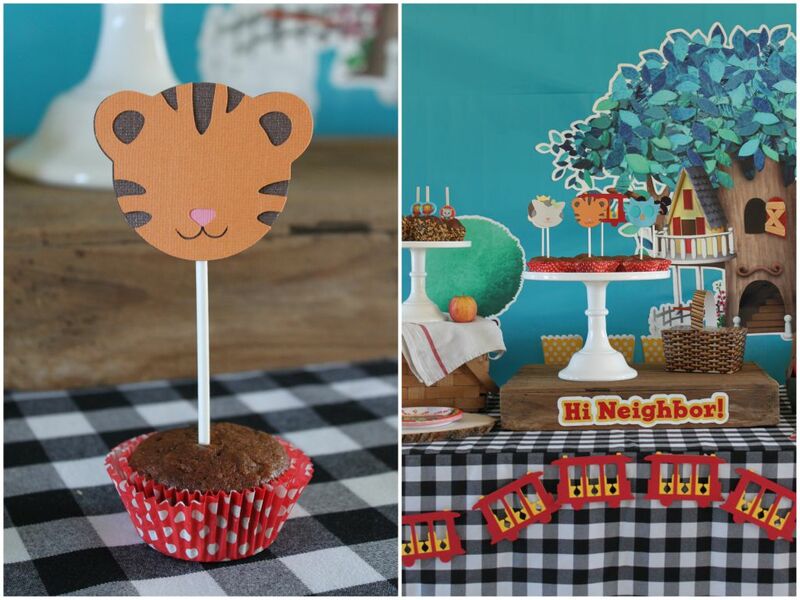 Did Jenny inspire you to throw a perfect party for all the friends in your little tiger’s neighborhood? If you liked this post and want to see more like it, then follow us on Twitter and Facebook, and tell us what you think! 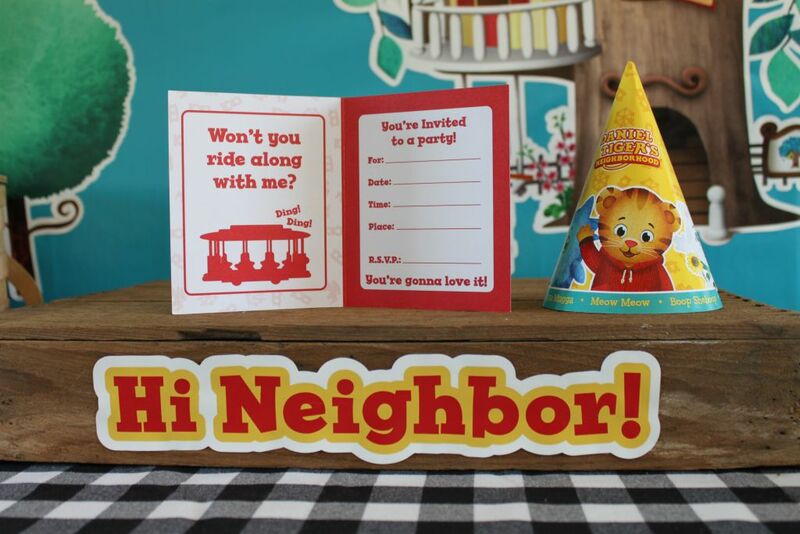 Click here to see all of the Daniel Tiger party supplies at BirthdayExpress! Custom printables matching our Pink Cowgirl party. Click here for the free download.